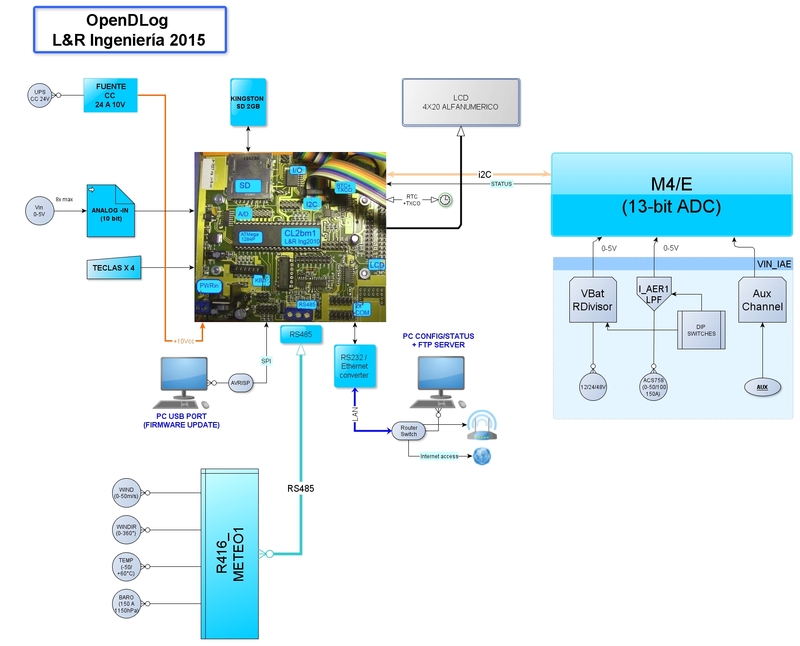 The OpenDLogger Project has been revised, and it is intended to conform a flexible data acquisition module, for multiple science & technology applications with moderate precision requirements and limited budget. It will involve an open system in its hardware design and C source-code. The basic system is based on PWRC2 systems installed at INTI-Neuquén test-site for small wind turbines since 2012, and on boards designed an produced through an ANR-SeCyT (an official R&D funding from Argentina - project SC002/2003) which have been tested in different applications since 2005. We are aiming to a low power system with various analog channels, available ranges in 0-5V or 0-10V, using 10 and 13-bit A/D conversion . * oriented to current, voltage and power measurements. * Optional external module (METEO) for wind, temperature and barometric pressure measurements. * Optión: External line (220VCA) power supply, connection to PV panel and external 12V battery, working as mini-UPS.